After seeing various people in #WeeChat still struggle with setting up (or rather configuring) their WeeChat client to their liking (even though there's a nice QuickStart document), I decided to write my own post to get you started with this awesome chat client which has become my favourite IRC client. Pascal r3m Poitras Dubois's WeeChat posts. He has for instance listed his favourite scripts, and his WeeChat config. The installation of packages part assumes you are running Debian or a Debian-based Linux distribution such as Ubuntu. Package names and installation commands may vary depending on the distribution you are using. Personally I use /usr/local/weechat as my WEECHAT_TARGET_DIR, but that would also entail adding the /usr/local/weechat/bin directory to your $PATH, while /usr/local/bin tends to already be included. If you need to make PATH adjustments since your terminal can't find the weechat executable binary, then have a look at this document describing what the PATH environment variable is and how to (permanently) set it.. So, before we get started to configuring WeeChat, let's make sure our terminal is properly set up so we don't run into any strange display issues. Ideally this should say something like xterm-256color (as mine returns), rxvt-unicode-256color, rxvt-256color, putty-256color. Or, if you are already inside a terminal multiplexer such as GNU/Screen or tmux, screen-256color. If it doesn't, I suggest you read the WeeChat F.A.Q. : How can I use 256 colors in WeeChat? to help you fix this issue if you want to be able to use more than 16 colours. I'm a great fan of using Unicode (and utf-8 in particular) everywhere I can. Why? Because it makes it much easier to see what everyone's writing when we all use the same encoding, and Unicode has enough space for most (if not all?) character sets available. The most important part here is whether the variables are defined at all (at least LANG/LANGUAGE and LC_ALL as far as I know), and if they have a .UTF-8 value. If they don't or use something like .iso88591, .roman8, C, or POSIX, you probably want to look into changing your locale to one of the .UTF-8 ones. then that is a good sign! If it returns nothing, you might want to install its development library and recompile WeeChat, just to be sure. With all of this set up properly, you shouldn't have any problems with seeing wrong characters, or not being able to use or see accented characters. If you do, I suggest you have a read at the WeeChat F.A.Q. 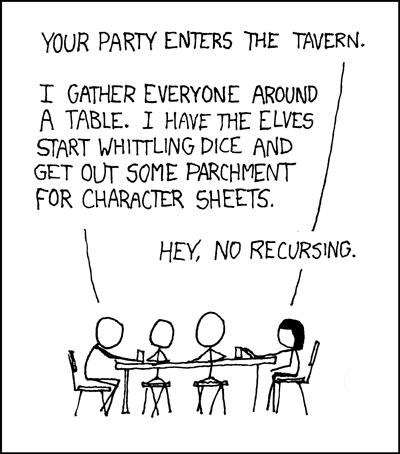 : I don’t see some chars with accents, what can I do? UTF-8 support can be enabled by putting set-window-option -g utf8 on # utf8 support into your .tmux.conf tmux config file. 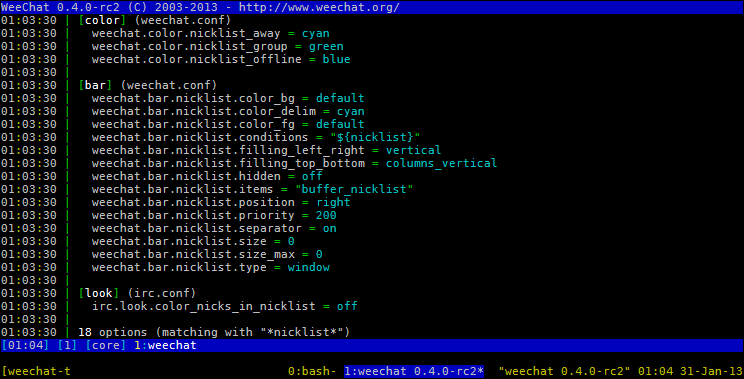 If you intend to keep WeeChat running in your background, for instance when you run it on a remote SSH connection, I recommend running WeeChat in a terminal multiplexer, such as GNU Screen or tmux. For this guide I'll assume you are running it in tmux. If you want, you can put this in an alias in your .bashrc, or in an executable bash file placed (preferably in a dir that's mentioned in your $PATH). It will try to attach to a tmux session named 'weechat-tutorial' (feel free to change this name) and if it can't find one, it will start it for you. If this shows screen-256color then you are all set! Which brings us to the next section, starting and setting up WeeChat! Yes, I spent quite some time on making you check your terminal first, but. We are ready to start running WeeChat now! As you can see, for me it shows a nice table of 256 coloured numbers, ranging from 000 (black) to 255 (white). The first 16 are the ones WeeChat uses for its default named colour aliases. 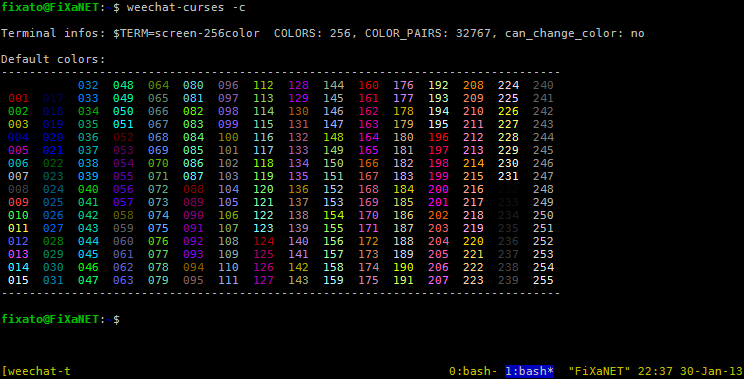 Beside the 256 colours, it also shows that my $TERM is screen-256color, that it supports 256 colours, has support for 32767 colour pairs, but can't change colours (not quite sure myself what this last feature does though and how to change it to yes though; probably some ncurses feature). If it doesn't show all the 256 colours, but just 8 or 16 instead, I suggest you go back to the previous sections to check if you missed something, or check the WeeChat F.A.Q. : How can I use 256 colors in WeeChat?. Right, let's start WeeChat. The application was originally called weechat-curses, probably because it allowed for non-curses frontends to the weechat core to be created as well. At some point the executable got renamed to just 'weechat' for clarity. An alias might also be created automatically for backwards 'compatibility'. As you can see in the example above I've also specified the argument -d ~/.weechat-tutorial which specifies where WeeChat will store its config files. I did this so it wouldn't disturb the config files for my working WeeChat which stores its config files in the default location, ~/.weechat. 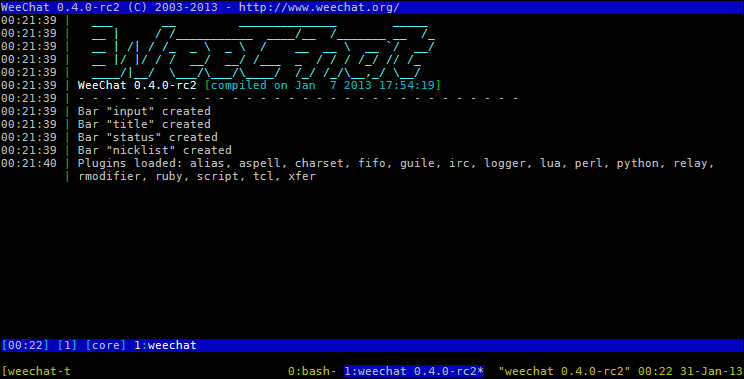 There it is, WeeChat, in its glorious appearance! Glorious? Well… perhaps not yet, but it will be once we are done with it! Let's have a closer look at what is shown on it, shall we? It also tells us that several bars have been created. The input bar is the bar in which you will be typing in all your commands. By default it has window as its type, which makes it show up in every WeeChat window. While I prefer this behaviour, some might prefer a single root input bar, so I'll show you later on how to achieve that too. The title bar shows the title of the buffer which is displayed in the window. Because bars can have a background, it's also nice way to visually separate channels from one another when you've split windows. The last bar that was created is the nicklist. This bar displays the nicks of everyone in the channel you are in. Which mouse support enabled, you should be able to scroll through it. I'll go deeper into this later on. If you made a mistake with one or more default bars, you can easily restore them with the /bar default command. This command will only restore missing bars; it won't override existing bars. So, if you want to restore a default bar because you screwed up some settings, then you first have to delete the bar. Some console clients might require you to change all your settings in the config files, but WeeChat strongly discourages this as it would require manual reloading of the config files. Instead, WeeChat comes with the /set command which not only allows you to change your settings directly from within WeeChat, it also allows you to search your currently configured settings. Remember that nicklist I mentioned? Let's have a closer look at the options this bar has. Looking at the settings we see you can specify the background colour, the colour for the bar delimiter, the foreground (text) colour, 'conditions', how it should be filled with items, if it should be hidden, what bar items are shown in it, where it should be positioned (on the right of the chat area), what its drawing priority is, whether the bar separator is enabled, what its size should be, as well as what its maximum size may be (in case of it being auto-sized by setting the size to 0), and finally, what kind of bar type it is. The effect should be instant. Feel free to try out a couple of other colours (you should have 256 of them at your disposition!) till you found the one you like. For any command or option/setting in WeeChat there is (or at least should be) help information. These texts, usually very helpful, can be retrieved via the /help command. Going through a list of commands can be quite useful every now and then, for instance to see if there's some new command you hadn't heard of before. 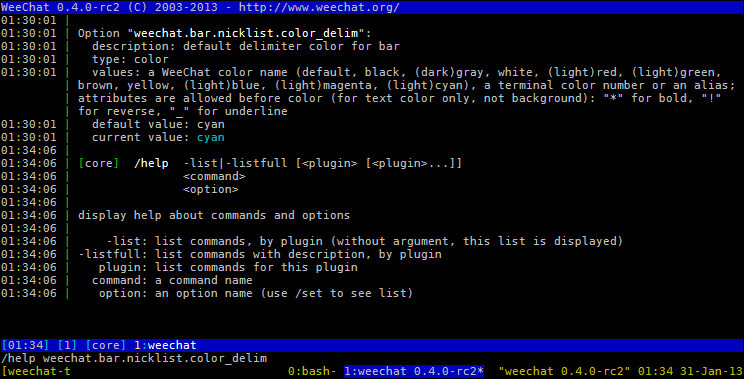 This command by itself will show you an overview of all the commands WeeChat has help info for. Useful if you are looking for a specific command but can't quite remember the name of. which gives you the same list, but now with short descriptions for each of the commands. It shows the option name, the description (default delimiter color for bar), what kind of value type it expects (color), and the values that are allowed (any of the WeeChat basic colour names, or an (extended) terminal colour number, or a colour alias. ), it also shows the default and current value. For completeness sake I've also included the help text for the help command itself, so you can see that the help command is useful for any setting and any command WeeChat has! Don't feel like typing so much? Then get used to using the Tab key to complete the commands you type! WeeChat offers 2 types of completion: partial and full completion. By default WeeChat performs full completions; meaning it will find the first setting/command/name your text matches, and complete it fully. By changing the weechat.completion.partial_completion-* options you can change this behaviour to a partial completion; meaning it will try to complete your keyword as much as it can till it matches multiple options. With default keybindings, Tab will complete to the next option available as it's bound to /input complete_next, while the Shift+Tab combination will try to complete to the previous available option because it's set to use /input complete_previous. The /input complete_previous command also tries to achieve this by doing a partial completion if you haven't already triggered a regular completion; you might want to use this to your advantage. Without completion: do a partial completion, with pending completion: complete with previous completion. Let's say a channel has FiXato and FiXatNo in it. Using full completion pressing F followed by the Tab will complete to FiXato. However, with partial completion it will complete to FiXat and then beep, and show you the possible completion options in your status bar (or where you have placed the completion bar item.). See weechat.completion. * settings for an overview of all the WeeChat completion options available. While WeeChat(-curses) is a console-based chat client, that doesn't mean it has no mouse support at all. If your terminal emulator supports (xterm-) mouse reporting, then you can make use of your mouse to control more and more parts of WeeChat. It can for instance be used to switch between windows, or to control the buffers.pl or buflist list. It can also be used to insert nicks from your nicklist, or even open query windows from the nicklist. This will change the weechat.look.mouse setting to 'on'. Want to extend WeeChat with your own scripts written in your favourite scripting language? Or use one of the hundreds of user-contributed scripts? Read on and learn how! WeeChat is very extensible. 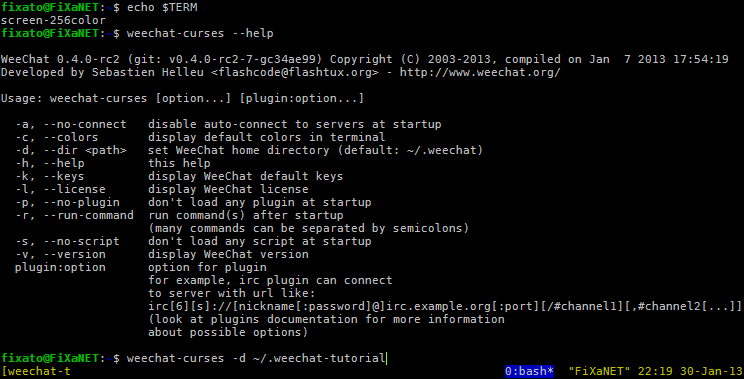 It has support for various plugins, which are C programmes which can call WeeChat functions defined in an interface. Basically this allows you to extend WeeChat with extra low-level functionality, such as support for various scripting languages. Various WeeChat plugins allow you to write your own scripts for WeeChat in languages such as Perl, Python, Ruby, Lua, TCL and Scheme/Guile, through which you can add functionality to WeeChat. You can create your own C plugins for WeeChat, but that goes beyond the scope of this guide. Instead, I would refer you to the Plugins in WeeChat section in the official documentation and the WeeChat Plugin API documentation. There are several ways of managing the plethora of scripts that are available. This section will describe them briefly. As with just about everything in WeeChat, you can install and remove scripts manually. You need to download the scripts into <$WeeChatHomedir>/<$PluginType>/, where $WeeChatHomedir is the directory where all your WeeChat configs are stored (~/.weechat by default) and $PluginType is the name of the plugin through which the script needs to be loaded. 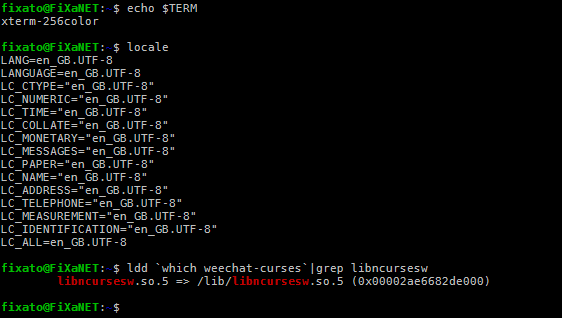 So, if you use the default WeeChat config directory, and you are installing the buffers.pl (Perl) script, then you need to download the file to ~/.weechat/perl/ to be able to load the script. As you can see, you only need the script name for this command. The above commands work for every script plugin, so just replace perl with python, ruby, lua or whichever script plugin you have installed and loaded. (filter: *): the current active filter. By typing (part of) a word in the input bar followed by enter, you can filter the list of scripts to only those that match your keyword. By default no filtering is used, which is indicated by an asterisk. Sort: p,n: this indicates the order of sorting on the list. By default this means the list is sorted first by popularity and next by name. This sort order can be changed via the script.look.sort setting. See /help script.look.sort for all possible keys to sort by. A list of possible key-combinations. For instance Alt+i (or i followed by Enter) will install the currently selected script. Alt+r will remove the selected script. 'Holding' scripts is also possible, which will prevent those scripts from being upgraded when using the /script upgrade command as well as prevents them from being removed. q followed by Enter will close the scripts buffer. $ followed by Enter will refresh the list. s: followed by a comma separated list of sort-keys and Enter will change the sort order and adjust script.look.sort. * followed by Enter will reset the filter. With mouse enabled (/mouse enable) you can select scripts with the left mouse button and install them with the right mouse button. The first column can contain an asterisk, indicating the script is a popular script, as well as various flags which indicate if the script is installed, autoloaded, Held, running or has a New version available. The second column contains the name of the script, as well as the script's language extension. Next is the version number of the script that is currently installed. The purple column contains the version numbers of the scripts that are offered through the script repository. The date displayed is the date at which the script was last updated in the script repository. The short description of the script follows this date. Finally, the tags assigned to the scripts are shown in the last column. As you can see my version of beep.pl is outdated (indicated by a different version number, as well as the N flag), but that I have also held the version I have (because it has personal changes that I need to merge with the current version and submitted to the WeeChat script repository). I have also installed buffers.pl, but it isn't running yet. /weeget list notify list all the scripts in the official repository that match the text 'notify' or have 'notify' as tag. /weeget upgrade upgrade all your local scripts that have a newer version in the repository. By default WeeChat only comes configured to connect to freenode, but you'll probably want to connect to various other IRC networks. In this section you can learn how to add, delete and edit IRC networks. How to add an IRC network? Chat4All -- | irc: connecting to server us.chat4all.org/6697 (SSL)... Chat4All -- | gnutls: connected using 2048-bit Diffie-Hellman shared secret exchange Chat4All =!= | gnutls: peer's certificate is NOT trusted Chat4All =!= | gnutls: peer's certificate issuer is unknown Chat4All -- | gnutls: receiving 1 certificate Chat4All -- | - certificate info: Chat4All -- | - subject `C=NL,ST=Noord-Brabant,L=Den Bosch,O=Chat4All,OU=Chat4All IRC,CN=*.chat4all.org,EMAIL=jeroen@wierda.com', issuer `C=NL,ST=Noord-Brabant,L=Den Bosch,O=Chat4All,OU=Chat4All IRC,CN=chat4all.org,EMAIL=jeroen@wierda.com', RSA key 4096 bits, signed using RSA-SHA1, activated `2012-09-20 20:00:41 UTC', expires `2013-09-20 20:00:41 UTC', SHA-1 fingerprint `3dc41c41d0ae2ef99363e31969dd38410b52c74c' Chat4All =!= | irc: TLS handshake failed Chat4All =!= | irc: error: Error in the certificate. Oh no! A certificate error for the network! What now? So, what does the above error message tell us? The former means that the certificate that's offered by Chat4All isn't trusted, and the latter means that the issuer of the certificate is unknown (and thus not trusted either). Chat4All's SSL certificates page mentions they are using self-signed certificates, which explains why WeeChat doesn't trust them by default. Luckily, Chat4All's wiki has a page that describes how to import Chat4All's CA into WeeChat. Checking for, and updating the trusted certificate authorities files. Retrieving and merging the Chat4All CA certificate. By adding the CA certificate of Chat4All we now trust any certificate signed with this CA cert. If you don't want to trust the CA, but only the server's certificate, you can also use the Chat4All server certificate instead. Since freenode supports SASL authentication, you can use this to identify for your registered nickname. /set irc.server.freenode.sasl_username "ReplaceThisWithYourRegisteredNickname" /set irc.server.freenode.sasl_password "ReplaceThisWithYourNickname'sPassword"
Now you should be all set to /connect freenode or /reconnect freenode. By default the title and input bars will only fill a single line because their size is set to 1, however, you can quite easily extend this to 2 or more lines in case it needs more space than a single line offers. This section will describe a couple of keybinds I personally quite like. It overrides some of the Default WeeChat Key bindings, so be careful. Note that I use /input grab_key_command (meta+k) and /input grab_key (which I assigned myself to meta+Shift+k) a lot to get the correct WeeChat key descriptions for the keyboard shortcuts / key combinations, as these might differ between the various terminal emulators. The default keybind meta-k (lowercase) will insert the key description, as well as the command the key is bound to. This new keybind meta-K (uppercase) will only insert the key description, useful if you don't care if the keyboard combination is already bound to some other command. Please note that CTRL+→ and CTRL+← are bound by default to move between the next and previous words. Also note that CTRL+↑ and CTRL+↓ are bound by default to go through the previous and next global history items. However, personally I prefer to have these simple keyboard shortcuts bound to window switching as I have a bunch of vertical and horizontal window splits. Please note that Alt+→ and Alt+← are bound by default to move to the next (/buffer +1) and previous (/buffer -1) buffers. /key bindctxt mouse @bar(input):button1-gesture-right /input complete_next will trigger completion (similar to pressing tab) if you click-drag with your mouse to the right in the input bar. This might not sound very useful at first, but I find it rather useful while using WeeChat from my mobile phone which lacks a tab key on the on-screen keyboard. WeeChat comes with an excellent Alias module, which allows for you to add your own client-side commands. You can use this for shortening existing commands (/close instead of /buffer close for instance), to combine various commands into a single command, or to alias often used replies. This will insert /opnotice [ops-only notice] whatever was typed after the /onotice command on the input bar. You could leave out the /input insert part as well so it sends directly, but I like to review the command before hitting enter again. This will make the wallchops show up as [@#weechat] Hello world! instead. These kinds of aliases are useful if you frequently need a certain page of which you can't remember the URL. But I would suggest you just use buffers.pl or in more recent versions of weechat the built-in buflist plugin and enable mouse support instead, so you can click-and-drag the buffers in the right order. As you can see, this alias links several commands together by splitting them with the ; (semi-colon) character. /alias irc-analogy /input insert an IRC server is like a shopping mall. It provides space for various shops. While the mall owner (read: the server's staff) might control some of the shops (read: channels), most of them are 'owned' (registered) by individual parties (channel founders). Each of the shops (channels) usually have their own subject/topic of conversation and their own rules and guidelines. All of the shops (channels) can be reached via the main entrance (any IRC client connected to the server's address), but some of them might have their own entrance (an IRC applet/client on their own website). So, the fact that you have connected through website X about subject Y, doesn't mean all other channels belong to the same website / share the same topic of conversation. A list of IRC clients with screenshots that I have assembled along with some other Chat4All operators. The /pt command is provided by the pagetitle.py script and will insert the URL's page title after the URL. WeeChat currently still doesn't have an official way to install or export themes, but FlashCode did write an alpha script, theme.py for it a while ago, as well as a WeeChat Themes page. Judging by this reddit question, the script is still confusing to people though, so I'll write some details about it. It is worth noting that /theme save, /theme installfile and /theme export require an expanded path, so you can't use ~ to indicate your homedir. This should return: Theme saved to "/home/fixato/.weechat/themes/fixato-20130428.theme"
This should return: Theme saved to "/home/fixato/.weechat/themes/_undo.theme"
Which should return: Theme exported as HTML to "/home/fixato/fixato.org/guides/weechat/fixato-20130428.html"
The resulting HTML file is available at: http://fixato.org/guides/weechat/fixato-20130428.html. YourBNC is one of several free IRC Bouncer providers out there. After receiving some questions on Esper.net about how to set up WeeChat for it, I decided to add this small section to my guide, in the hopes some will find it useful. Should there be any errors, feel free to find me on the Esper network, or in #WeeChat on freenode. In the following command examples, you will see certain $variables. You will need to replace these with some variable such as a username or password given by YourBNC, or for instance in the case of $WeeChatServerName, with a value you've picked yourself. If you hover over these variables, you should get a title-tooltip with an example value. There are two ways to add a new server to WeeChat. A temporary one (/connect), and a permanent one (/server add). A temporary server will be deleted once you exit WeeChat, while the permanent one will still be there after you restart your WeeChat client. It is possible to turn a temporary server into a permanent one with the /server keep $WeeChatServerName command though. The $WeeChatServerName variable determines by what name the server is known within WeeChat. All settings for this server will be stored within the irc.server.$WeeChatServerName. * namespace. This does not have to equal the server address, and can also be just a single word, such as 'YourBNC'. For instance, if you fill in YourBNC in place of $WeeChatServerName, all the server's WeeChat settings will be stored within the irc.server.YourBNC. * namespace. The -nossl_verify argument is used to accept the StartCom SSL certificates of YourBNC, as it would otherwise be rejected due to hostname of the certificate (www.yourbnc.co.uk), not matching the hostname of the server, as well as the certificate and certificate issuer (StartCom) generally not being trusted/known by the IRC client. If you want some extra assurance that the SSL certificate matches the one issued to YourBNC, you could ask YourBNC for the current certificate's fingerprint. At the time of writing, this would be f2496dfd2562c749e70d871849f72eabe56ea90f. You can then tell WeeChat to always verify the SSL's fingerprint against this one. If the SSL certificate's fingerprint has changed, then WeeChat should now refuse to connect to the server. Remember that while it could indicate that someone is attempting a MitM-attack, it could also just be that YourBNC has renewed their certificate. Though I would suggest to just join the channels you want to auto-join and then use the autojoin.py script to add all your joined channels to autojoin setting for each server: /autojoin --run. Or just let the bnc keep you connected to the channels you join; though personally I like to keep a local backup of my auto-join channels too. As with any settings you change, do remember to call the /save command to write the setting changes to the config file on disk, so they will persist after you exit WeeChat. If you want to learn more about the /server command, please check out the Managing Servers in WeeChat section, where I go into some more details about managing your IRC server connections within WeeChat. If you want to know more about scripts, do check out the Scripts-section. Want to know more about elaborate split window layouts? Have a look at the Unicode representation of my current WeeChat (IRC) screen layout. Added a section with Script Snippets. The first 2 snippets are find target msgbuffer and set your script's default settings. Added a section describing how to install themes. Added the YourBNC configuration section. As you can see, this guide is still far from finished. I'll try to update it in the coming weeks. Client SSL user certificate support (NickServ CertFP et al.